I create handcrafted advent calendars based on various pop culture brands I have grown to love, starting with Zelda. It started innocently enough while rambling with a friend about The Legend of Zelda: Majora's Mask. During the conversation, we discussed the 24 masks painstakingly collected throughout the game. 'Wait a second,' I thought, 'there are 24 days in the advent season.' The serendipitous parallel switched our conversation from gameplay to Zelda-themed advent calendars. After conceptualizing and creating the calendar for my own use and enjoyment, I realized this item would not only be a marketable Zelda product but also a phenomenal way to provide an unconventional gift for various pop culture fans worldwide. Under the name Culture Cal (catchy, right? ), I want to provide an outlet for those seeking a way to incorporate their love for pop culture with the holiday season. By definition, an advent calendar is a special calendar used to count or celebrate the days in anticipation of Christmas. For those that think advent calendars are merely a chocolate-rationing slab of cardboard, think again! 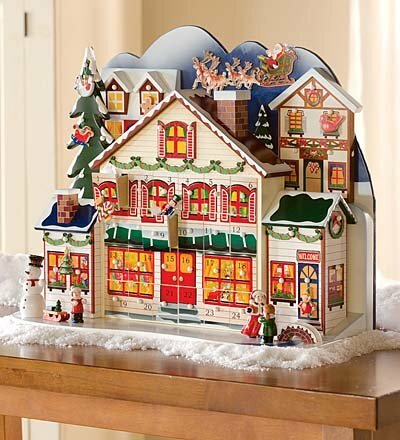 The spirit surrounding handcrafted advent calendars is one of creativity and cultural expression. Check out some incredible examples here, here and here. The first product in our line is the Majora's Mask calendar, which consists of an 8x12 wood board with an etched carving of Termina, the world where the game takes place, and 24 'mask tokens.' The map has been recreated as a Tolkien-esque fantasy map, and the tokens are artistic recreations of said masks lacquered on wooden coins. There are 24 small hooks secured in the map, and for each day of the advent season owners add a token of their choice to the map. At the end of the holiday season, all mask tokens are displayed proudly on a board that fits comfortably on any number of household or business surfaces. Thanks to the dumbfounding skills and generosity of three artists, I have acquired original artwork for the 24 masks, map backdrop and Culture Cal logo. Without their help, my lack of artistic ability would surely have foiled this project at inception. $5,000.00 - Laser Printer: This is the bulk of the money needed and probably the coolest part about the entire project. The fine folks over at Full Spectrum Laser developed a laser printer (via Kickstarter!) that is an affordable, quality printer for hobbyists and people who have side businesses/think laser printing is the coolest concept ever. This machine will create the calendar backdrops, develop promotional materials and entertain my freelance self for hours. Check out this video to see how they work. $700.00 - Raw Materials: This expense deals with all the materials necessary to create the calendars. Items include wood, hooks, lacquer and Miller High Life. $500.00 - Artist Compensation: As I previously mentioned, there are some really cool dudes donating their talents to this project for little to no money. I want to be able to properly compensate them for their time, and this will help make that happen. $150.00 - Web Development: While I will develop a simple Wordpress site on my own to serve as a storefront, this will cover the relatively inexpensive costs of securing and hosting a domain name. $650.00 - Comic Con Exhibit: One great way to spread the word about this product is through a comic con event. Last year, Wizard World premiered their inaugural Nashville comic con. I would like to secure an exhibitor booth at the 2014 event. $500.00 - Unforeseen Costs: Similar to my knack of always forgetting to pack something important on trips, I'm certain I left off an incredibly important aspect of this project's success. This amount is the buffer money I can throw at whatever fire I've yet to cover with the above expenses. At the end of the day, my goal is to provide an awesome holiday gift item for people who love the culture of Zelda or any previously mentioned franchises. This is an ideal item for parents, friends or family who have someone in their life who takes fandom to the next level (and I'm sure you already have someone in mind). Equipment Malfunction: Although I wholeheartedly believe that Full Spectrum Laser has the best laser printer currently on the market, there is always the potential for machinery to go awry. Fortunately, I have other sources of income other than this project, and if need be I can use these funds to cover these expenses. Time Constraints: That being said, my other sources of income also take up a good amount of my time. This could be an issue if this project spreads its wings and demands more time; however, I am willing to put in any hours necessary to provide consumers with a quality product. You receive my utmost gratitude and the knowledge that even a single dollar donated means the world to me. I'll write you a handwritten thank you letter with some ridiculous original doodle on the cover of said letter. I'm a stellar doodler, so this is a pretty sweet deal. Also, I'll throw in a mask token of your choosing with your name inscribed on the back via laser printer. A custom token with any design you want inscribed on the front with your name inscribed on the back via laser printer. Also includes mask token and thank you letter. A set of custom tokens up to 12 with any design you want inscribed on the front and back via laser printer. Also includes mask token and thank you letter. You are just too sweet. I'll give you a Zelda Advent Calendar! Also includes custom tokens, mask token and thank you letter. I'll create an advent calendar of any design you would like! Want your 24-member family on a calendar? You got it. Is said family 24 cats? You got it. The numbers 1-24 in comic sans? Hell yeah. Also includes custom tokens, mask token and thank you letter. You get a Custom Advent Calendar AND a Zelda Advent Calendar! Also includes custom tokens, mask token and thank you letter. You are a serious saint. I'll give you five Zelda Advent Calendars! Also includes custom advent calendar, custom tokens, mask token and thank you letter. This is where it gets fun/weird. With a provided photo, I will laser print a mural of your face (or any other image you desire) onto wood. Also includes five Zelda Calendars, custom advent calendar, custom tokens, mask token and thank you letter. At this point, I'm going to let your mind run wild. Anything you want that can be done with the laser printer can be your's. Any printable medium, any design. Imagination abounds. Also includes wood portrait, five Zelda Calendars, custom advent calendar, custom tokens, mask token and thank you letter. I threw this one in just for kicks and giggles. If you're within driving distance, I'll meet up with you in your city and take you out to dinner (criminal record pending (haha, but really)). Also includes whatever you want printed, wood portrait, five Zelda Calendars, custom advent calendar, custom tokens, mask token and thank you letter.